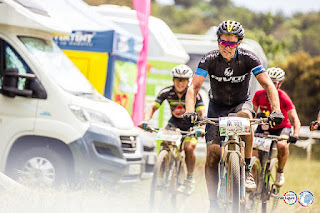 My focus race of the year has been the WEMBO 24hr, however, this year has been a little different for me. 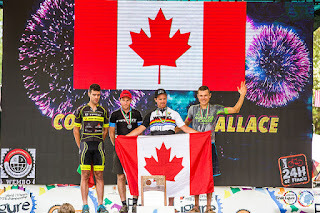 I have put together a little race report and then the logistics I had to consider when really trying to have a good attempt at this event. The race seemed to go great from the start. I took a sensible approach from the gong and ran the start 2km feeling like I was holding back. I aimed to be in a position where I wasn't going to get held up too much come the first single track and that almost was the case. My position was pretty good except the race loop rejoined the run loop where there was a crazy traffic jam allowing for any advantage I had to be quickly absorbed. I rode in a pretty controlled manner for the first lap letting the faster riders take off and I rode around with Josh Tostado. I was really happy with his pace, however, he had forgotten his ankle timing chip and I didn't see him again until after he stopped to get that sorted. Cory Wallace joined me within a few minutes of the second lap and we started to come across heaps of riders walking through this next lap. I started the third lap with Cory and I found myself getting frustrated as he was able to sneak past some of the riders (who were walking most of the track) and got a clear gap. I started the fourth lap learning to be more vocal and with the same level of intensity managed to ride one of my faster laps. I started to settle into what felt like a maintainable pace and made an effort to really drink well as it felt pretty hot. I was taking on an electrolyte bottle through the pits and was drinking a plain water bottle at the half way checkpoint. This hydration strategy was working quite well but the sun and lack of sunscreen was starting to take a toll. often try nutritional challenges however, I wasn't being silly with food. I had bland / savoury options such as gnocchi, soup, noodles and white bread however, these weren't working that well to settle my guts. I eliminated the electrolyte tabs and went for the capsules but this mustn't have been the cause. I wasn't eating too many solids so I couldn't work out why I still had this sensation through the night. All I could do was back off the pace and try to just finish the event. Night riding really only started after 9pm due to the extended hours of light in Italy. With a race starting at 10am that is a whole lot of sun in one go. It was probably a good thing to switch off race mode as night approached as it allowed me to keep sane dealing with mechanical issues rather than looking at trying to save time where possible. Once the sun came up and with a couple of hours to go I managed to get some feedback from the Mt Zoom camp that I was in second position and a lap ahead. With no lap splits or feedback for the whole race it was great to know about that position. I had wondered if I was even within the top 10! With 3 laps to go I managed to lose a Wahoo Element off the side of the track and spent 6-7 minutes looking for it with no luck. On my last lap I went back with my phone to connect with it but I couldn't find a way to get it to make a noise to help me track it. I could connect to it via bluetooth but had no way of finding it through the bush it decided to jump into. Finishing the race I was pretty stoked to take a second. I'm a little disappointed I couldn't give Cory a good race to the line like in Rotorua. I may need to head to Scotland to have another go at it. 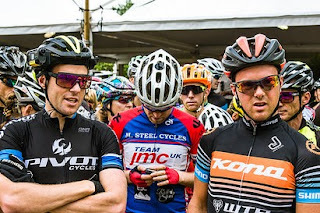 I've learnt lots in 24 hour racing and there isn't a race where I don't pick up a new strategy. This time I learnt about the harmful effects of sun exposure. 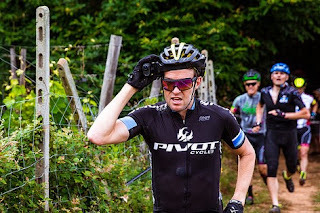 I have never been sun burnt through a jersey until this race. It seems funny how I remembered to put on the camera before the race but not sunscreen. This is how I approached training and life leading up to Worlds. Normally I would do heaps of training over Jan and Feb through the school holidays. Before the NZ World Champs I was doing at least 1000km per week! With the race this year in June my training really started 3 months out. This allowed time to find a house, get sorted at a new job and a greater desire to wind up the training closer to June. So how was I training for the worlds? 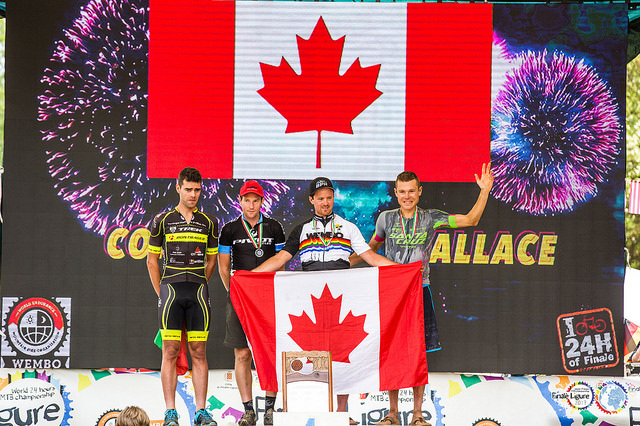 I looked for longer races and filled an action packed calendar into the 3 month leading up. 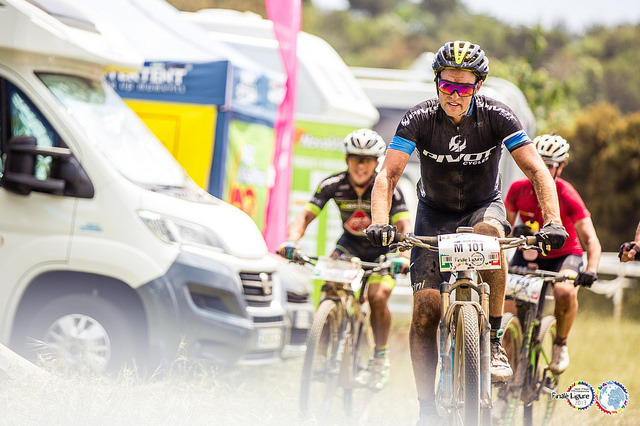 The races I choose included the Otway 300, Convict 100 + the ride home, thunderbolt adventure and the Merida Flight Centre 24hr. My typical day started with a 3.30am alarm, which gave enough time to ensure I was on the bike by 4am. I had to be home by 7am to get to work on time. I was getting home after work around 5pm which allowed for 30mins to hang out with kdis before dinner, baths and bedtime. By the time the kids were in bed by 7.30ish I would get myself organised for work the next day and make sure the bike was ready before crawling into bed ideally before 9pm. I was very fortunate to have a weekly personal trainer session with Andrew Gresham (POP) since February. Even though I was only doing this once I week I felt my core getting much stronger over the time which made my balance and control on the bike far easier. Paul and Di from Your Massage Therapist sponsored me for the 2017 season and Di provided massage and support which really helped me in the build up to Italy. Recovery is such an important part of training that I often overlook. While the multiple bike accommodation hotels, B&Bs etc looked like the obvious place to stay I booked just up the hill from Pietra Ligure. Being a Velocity Gold Member, I flew with Etihad Airways just so I could use the Virgin Lounge along the way and this also allowed for some extra baggage. On the way over I managed to binge watch 5 movies. On the way back there were no movies just a deadline to get school reports finished! I've been very lucky to have Lazer helmets on board. I have been using their helmets since 2008. 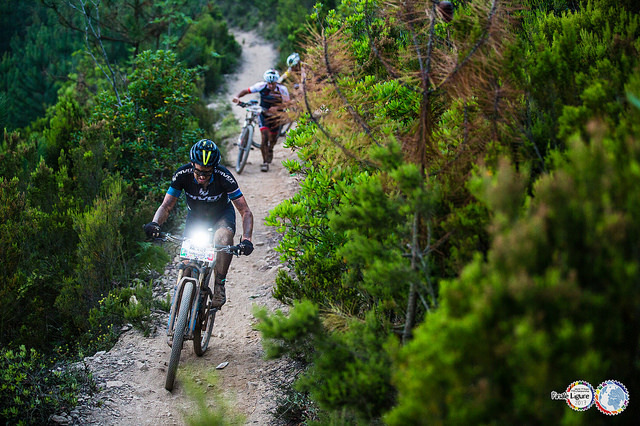 It is essential to have a light helmet for a 24hr and the Z1's are just that. Two are required, one for the day and one for the night which will have lights setup and ready to swap onto during the dark. I have been using WTB tyres for the past couple of years and the Nine Lines are a good balance between weight and durability. I really don't like the idea of stopping to fix a flat during a race. I have also used a variety of WTB tyres on my CX bike that I use in training. Adidas Eyerwear have been looking after me for quite a few years now. This year I managed to get hold of the Zonyk with 2 photo-chromatic lenses. My night glasses change from a completely clear VARIO lense while my day time glasses change from a very light purple tint to a darker tint. These glasses provide maximal protection without impact on vision. The Aero Pro model look like a winner. I have had the privilege of using XTR for the past few years. This year the bikes got blinged up with DI2. My first go at using the electronic shifting was in Italy. I'm not sure I can use mechanical shifting again. The ease of just pressing a button and holding it in until the desired gear is reached is too easy! There is less chance of RSI related issues and the consistency of shifting just becomes fun! I have been using NiteRider Lights since 2007 and they have changed heaps. My current setup involves a 1800 Race on my bars with a 4 cell battery and a Minewt on my helmet with a 2 cell battery in my back pocket. I run both lights on low which means the shadows help the rocks and roots etc show up more. By running them on low I only need to do one change of batteries through the night and this occurred through a mid-night bike swap. I have only had experience using Stages Power Meters and these things have been great. I actually have a power meter on every bike I own so I can carefully track TSS and determine if I need to train harder or longer. My numbers leading up to the worlds looked really good and I was hoping to capitalise on such good form (according to Today's Plan). By tracking these numbers I was able to make the most of the limited time I had to train. I was trying to get in 2.5 to 3hrs before work which meant starting as close to 4am as possible. 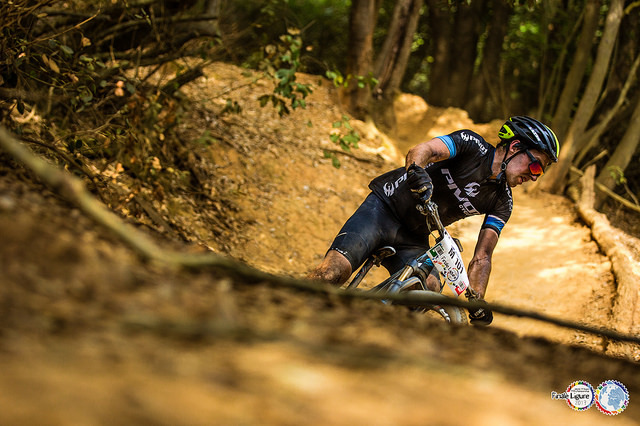 Stans is also another long term brand I have been with from Race Golds, to Podiums and now I'm using carbon Valor Wheels on both of my race bikes. These wheels have been great, highly durable and require little effort to get them up to speed. If there is one upgrade worth getting it is wheels. Mt Zoom were at the race and were able to bring me bars to lighten up my bikes. The My Zoom bars are extremely light but also durable. Matched with some ESI grips make these bars extremely comfortable. I use the 8 deg sweep flat bar which comes standard at 710mm. My North Wave Extreme Tech Shoes aren't only comfortable for the ride but also for the run. I wasn't too stressed about a 2km run from the start line. Santini have been looking after my clothing and just in case, I had their arm warmers, leg warmers, winter vest and a rain jacket packed. If there is one thing to get sorted for a 24hr event it is ensuring your seat, chamois and everything in between are comfortable! My first ride on the 2017 Pivot Mach 429 was in Italy. With boosted front and back wheels and 34mm forks these bikes surely can handle going fast. I'm glad I had two of these bikes packed. 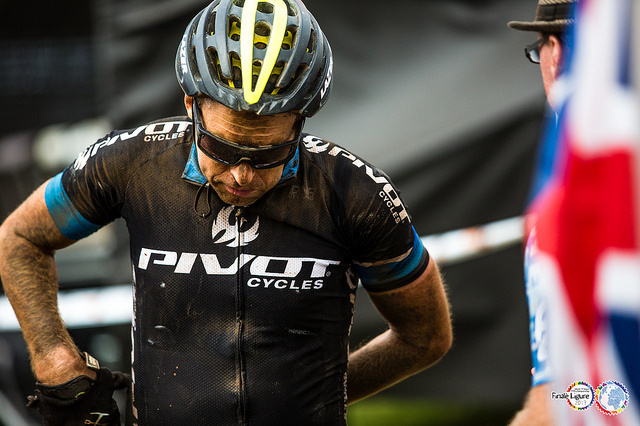 Finale is not a place for a fun hardtail ride. I have been playing around with GU nutrition for the past couple of years. 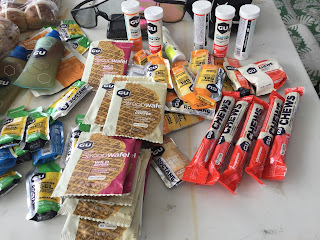 The variety of gels, waffles, electrolytes and chews help to keep things interesting. I also like the electrolyte capsule they have which work when nutrition goes bad and you need to try and eat and drink as plain as possible while still getting electrolyte down. Percival Property have been managing our rental property for years and looked after the sale of our house in Port Macquarie. The team at Percival have been looking after the local junior state road competition but were also able to help me out with some of the expenses associated with racing this year. Leichts have been looking after my car with servicing and tyres while in Port Macquarie. This has been a great cost saver and one I have missed and really appreciated since moving to Newcastle. Although many cyclists pay the most attention to core cycling apparel like cycling shorts, cycling tights, and cycling jackets, cycling accessories are also essential to ensure that your riding experience is optimal.